Since the last time I share anything with you all life has been crazy busy without much time for painting (such things happen during Ren Faire season). In my last Work in Progress Wednesday post I mentioned that I had been working on an entry for the Wyrd Miniatures Rotten Harvest Painting Contest; I’m pleased to tell you that my final entry turned out great! As voting continues through midnight tonight I can’t show you what my entry was or show you any pictures of it, but rest assured that as soon as I can share anything with you I will–I can’t wait to show off my entry! 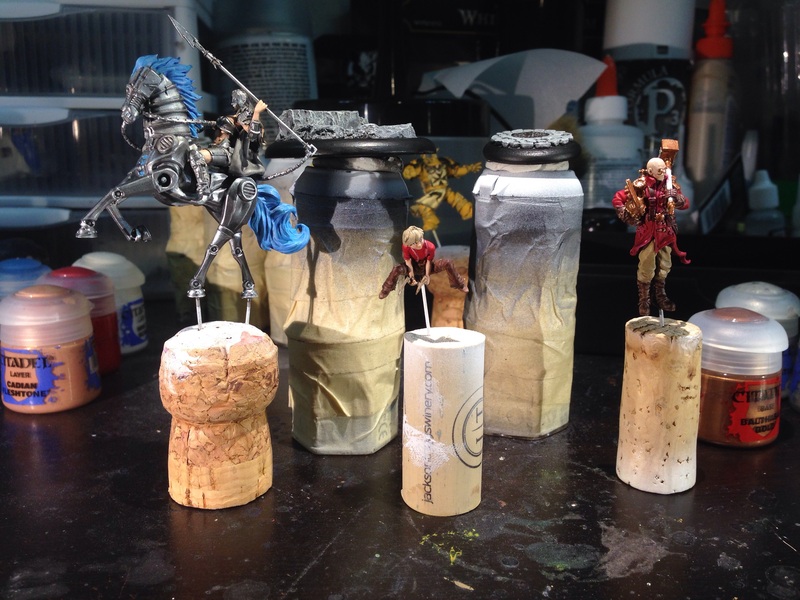 The photo above is a quick look at the small amount of progress I have been making on a couple Malifaux figures and Sigismund chilling there in the back. The Mechanical Rider and Malifaux Child should be finished up relatively soon, so I’ll hopefully be able to share those finished models with you soon. Below you see the product of what happens when I’m bored at work waiting for the final approval to file something after-hours–a handy scoresheet to use during Malifaux games! I always carry a little notebook with me to keep track of score on and I found that I got into the habit of effectively sketching out this scoresheet for every game, so why not save some time and make a little score pad! 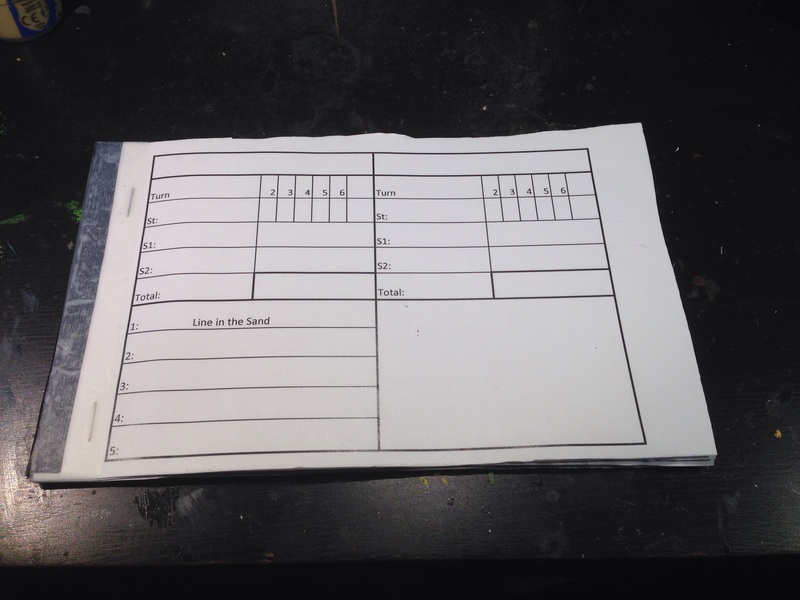 If you click on the link below you can download the spreadsheet I threw together; each sheet comes with two scoresheets on it, which I then cut in half, trimmed down, and bound to the cardboard backer of one of my used notepads. So that’s everything I’ve accomplished recently hobbywise. I am working on a rather large hobby tutorial on the topic of miniature photography and photo editing that I hope to have finished sometime this week, so keep your eyes peeled for that!